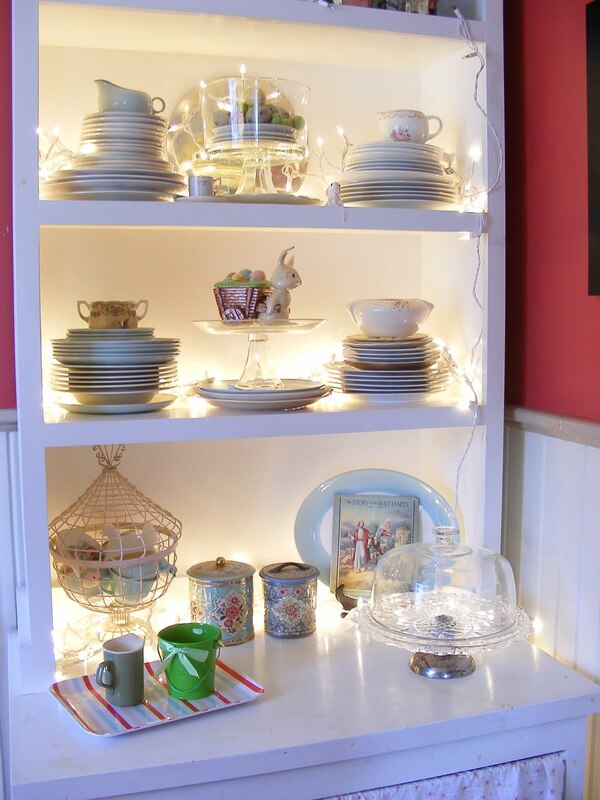 My mantle- I didn’t really have a plan, it just sort of happened… The look I was “going for” – if any – was Happy. 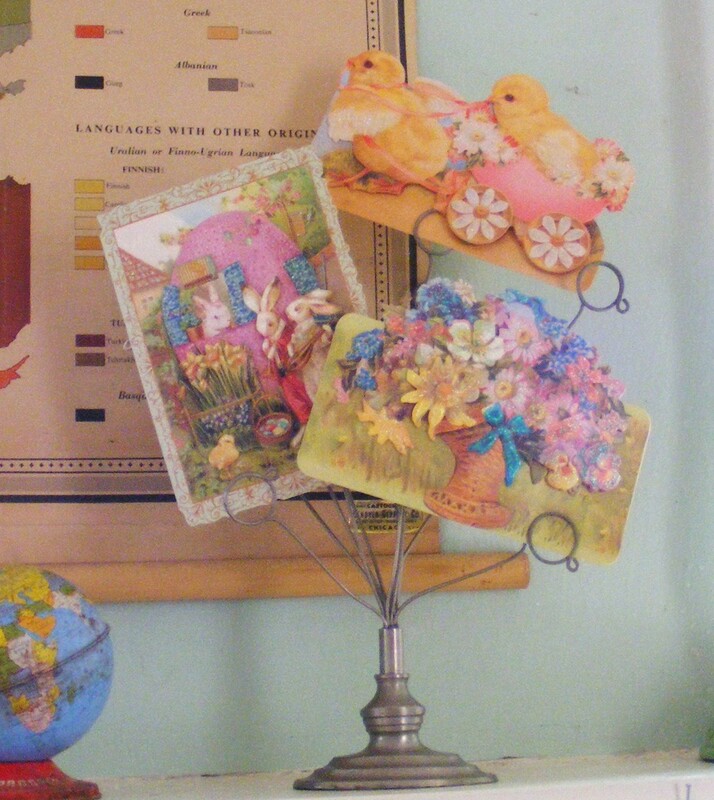 New “vintage” Easter Cards bought on sale for 50cents at Micheal’s. 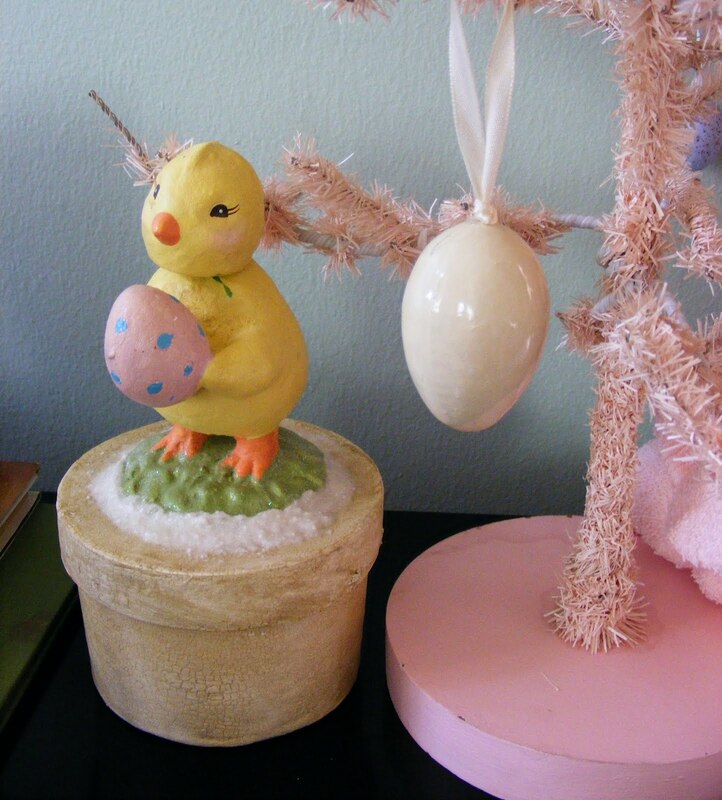 Little paper mache chicka-dee box on the piano. 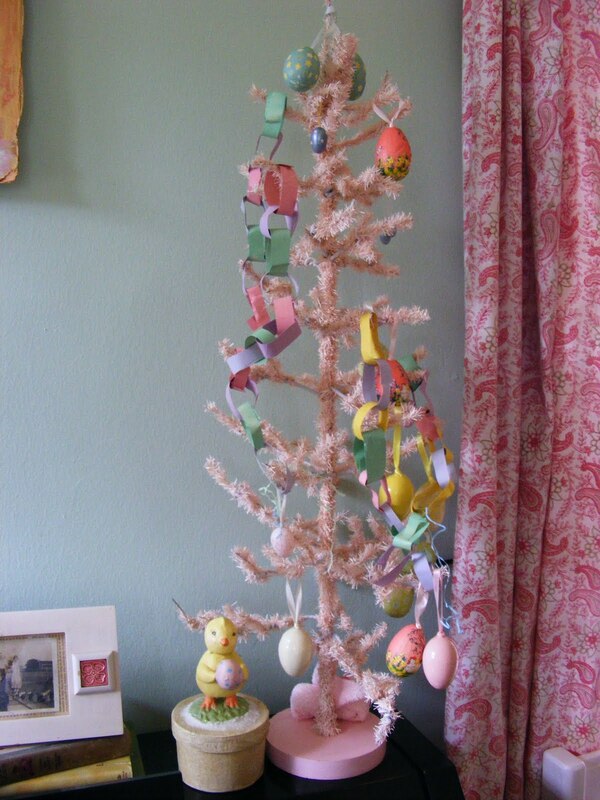 Easter Tree – also on the Piano. I let Miles decorate this all by himself. He did a pretty great job spredding things out don’t you think? 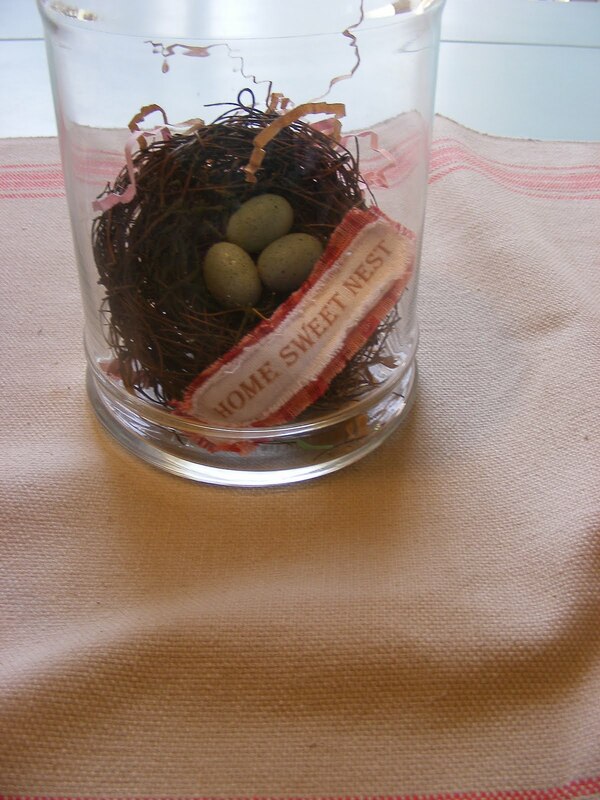 Dining Room Table centerpiece – Nest all together. 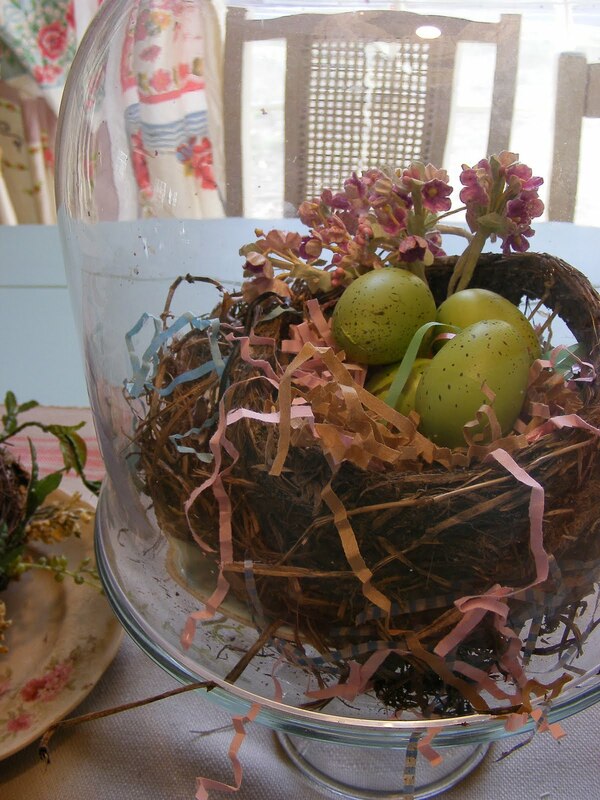 This is a real nest that I added some “grass” and vintage flowers and a few little eggs to it. 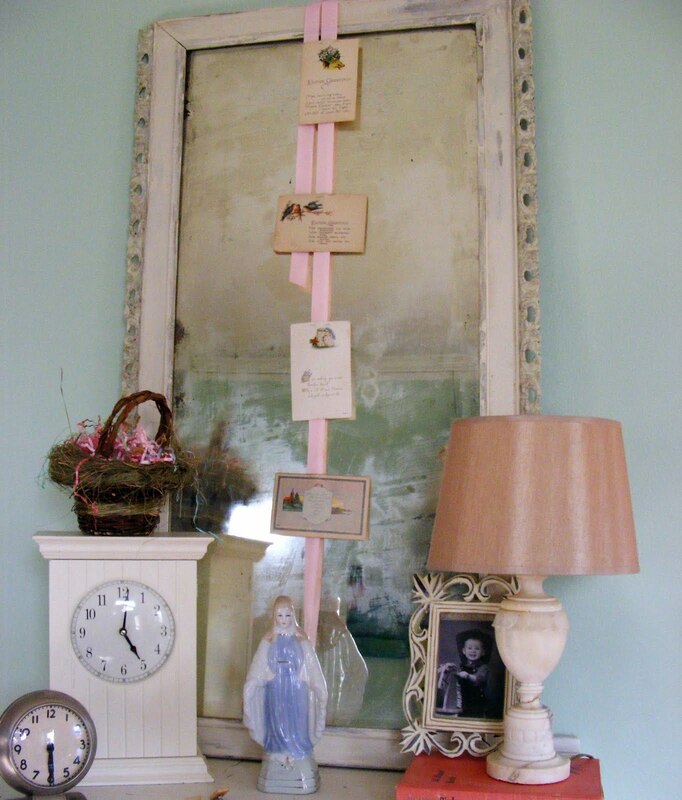 Here are my authentic vintage Easter cards pinned to some grosgrain ribbon and hanging on a mirror in the living room. 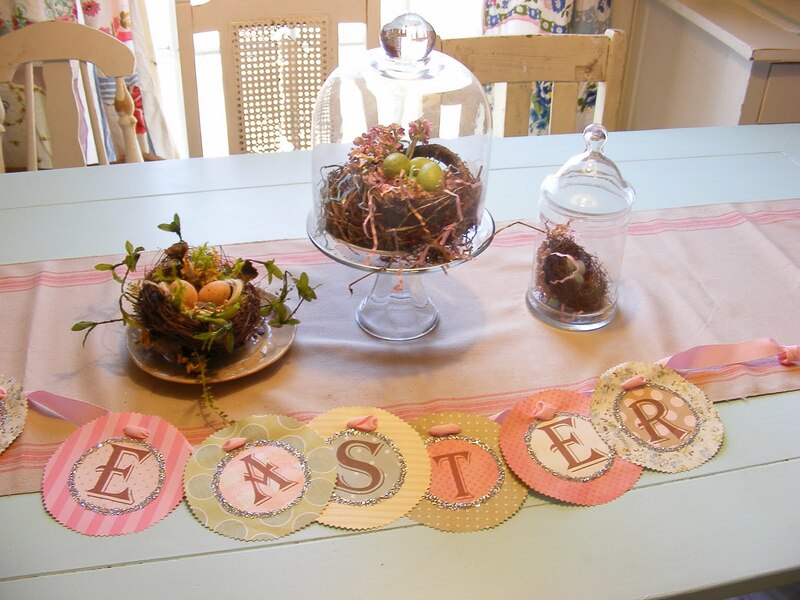 So there is my little Show-n-Tell for Easter/Spring decor – hope you enjoyed or were inspired a little! 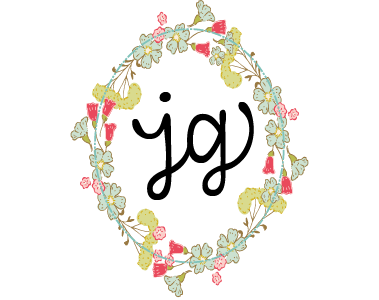 Don’t forget to enter the Book Giveaway! Love it! Yea Spring and Easter!! 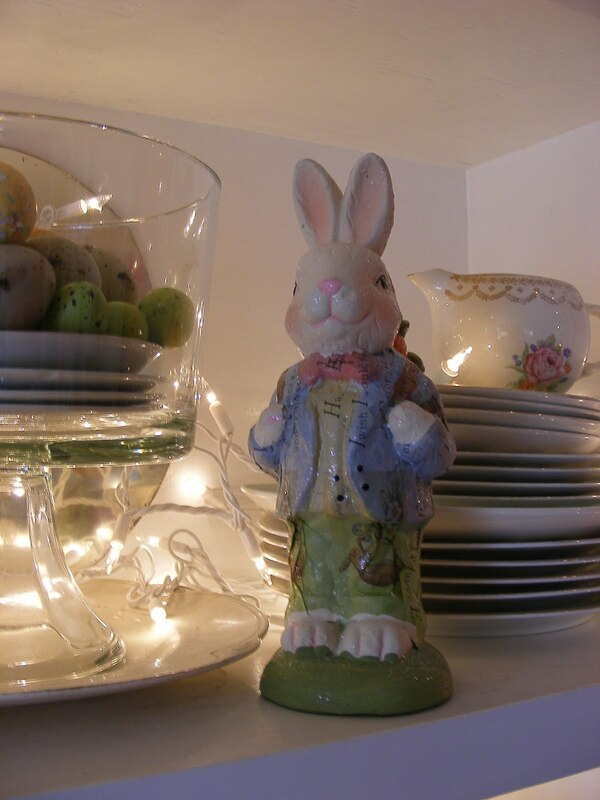 You have such beautiful collection of easter decorations. Everything looks wonderful. 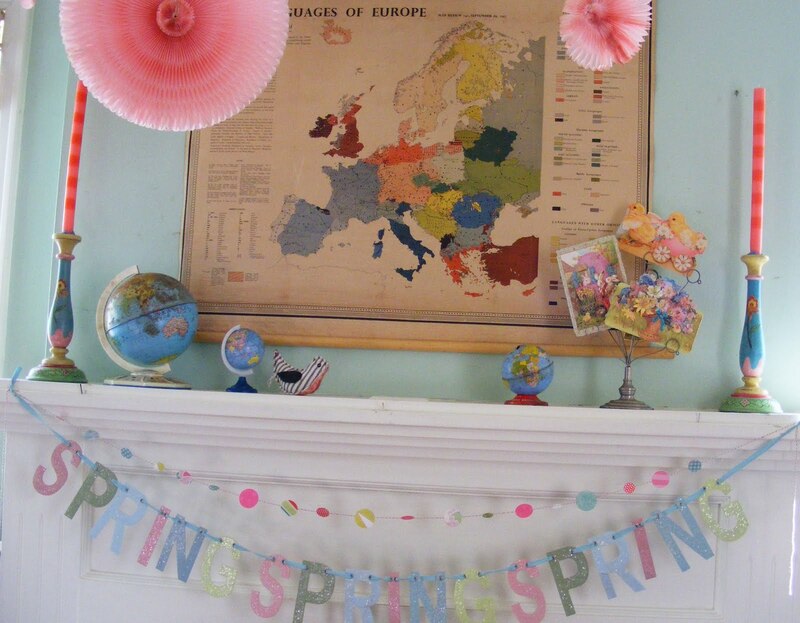 What a PERFECT spring mantle! Im still trying to figure out what the heck to do with mine and its almost SUMMER! Ha! Glad I drop by your site! Lovin this! A while back I was looking for a easter card for a friend. I had zero luck finding what I was looking for. I told a group of friends about this problem one night while we were having a few drinks. We proceeded to get smashed and make up a bunch of greeting cards we found funny. I had been writing down the cards we made up and the next morning I read them. Much to my surprise the cards were still funny even when sober.